If you’re planning on dressing up as Wolverine for Halloween this year, folks here at the Ethogram suggest you start looking for a caribou leg and not retractable nails for your costume. Yep- that’s right- wolverines are not just a Marvel comic book character- they’re one of the most elusive and aggressive mammalian predators of the North! Wolverines (Gulo gulo) get their scientific name from the Latin word, “gulo”, which means glutton. This name is fitting for the wolverine as they have a voracious appetite. 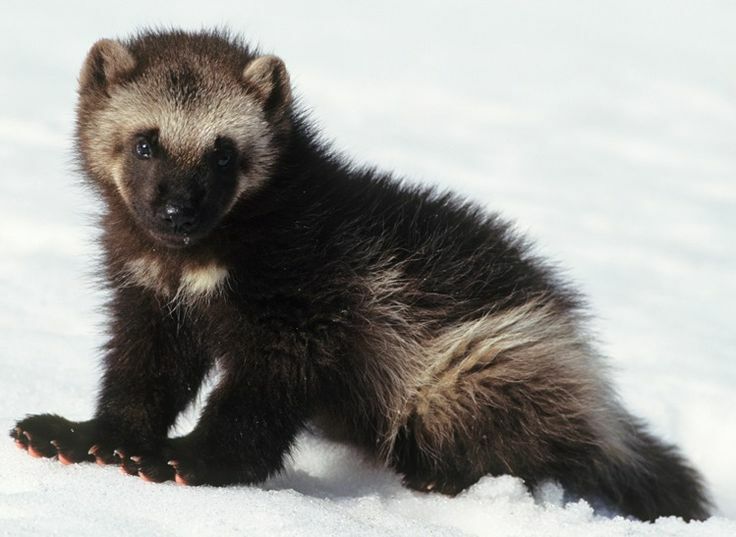 Primarily scavengers, wolverines have a diverse diet which includes moose, caribou, snowshoe hare, beavers, whales, seals, fish, birds and berries. Their gluttonous eating habits are thought to fuel a fast metabolism compared to other mammalian predators. To find food, wolverines can move large distances. One radio-collared wolverine, M3, summited Mt. Cleveland in Glacier National Park in only 90 minutes: a steep ascent of almost 5,000 feet (that’s almost a vertical mile)! There is some evidence that these hungry beasts use food caches in snowbanks as a way to stay well-fed during times of peak energy demand. 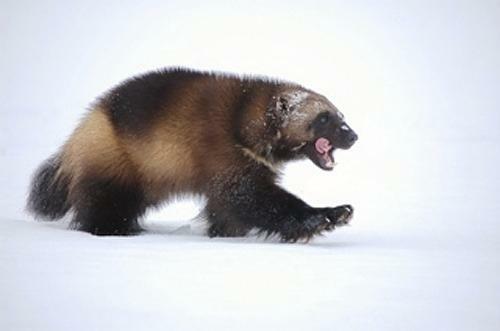 The “refrigeration zone hypothesis” suggests that female wolverines use food caches while raising young and that the ability to cache food in snowbanks near natal dens may influence the wolverines’ species range. While this hypothesis is still being tested, it is clear that wolverines and snow have a special relationship. Natal dens are almost always built in areas of persistent spring snow cover, which provide young wolverine kits with a refuge from predators and protection from cold early spring temperatures. If this is the case, the loss of snow-cover with climate change could have dramatic implications for wolverines’ continued survival. To see the voracious creature in action, watch this wolverine feast upon a caribou! Next Post Examining Ecotourism – Does it stress out the monkeys? Hot-stamping: Some cards have that extra little sparkle such as a silver, gold, or other colour logo.